I’m back in my home studio teaching art classes in Myrtle Beach, SC. I got back from Italy just in time for the recent visit by Hurricane Matthew! We were without power here for 5 days, but the community pulled together nicely and helped one another through the storm. So many folks are still without power or access to their homes due to flooding, and my heart goes out to all who are still hurting from the storm. My trip to Italy was an incredible time of relaxation, exploration, Creation, meditation, and FUN! I already am looking forward to next year! 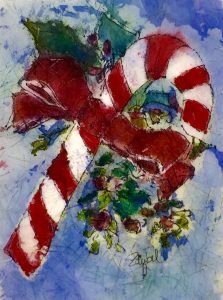 I’ve been teaching a workshop the past few days, exploring watercolor techniques and using holiday cards as small paintings. It’s a wonderful way to make a lot of paintings quickly and have fun while we practice oodles of techniques. With almost 50 lessons to choose from, I kept my students busy! Prepping for the workshop was intense, and I did a lot of playing around in the paint. 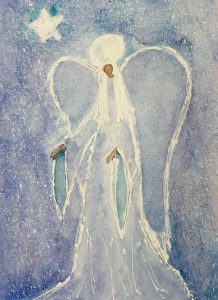 One of my new playthings in the studio this year has been Twinkling H20’s and other Metallic or iridescent watercolors. Many manufacturers make them. After quite a bit of experimentation, I thought I’d let you know some of my new favorites in the sparkly department! 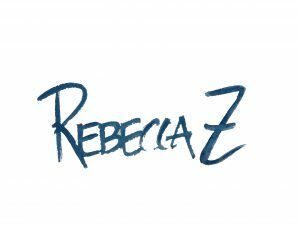 This is the first blog on the subject, and I will plan to write more about this in future blogs. 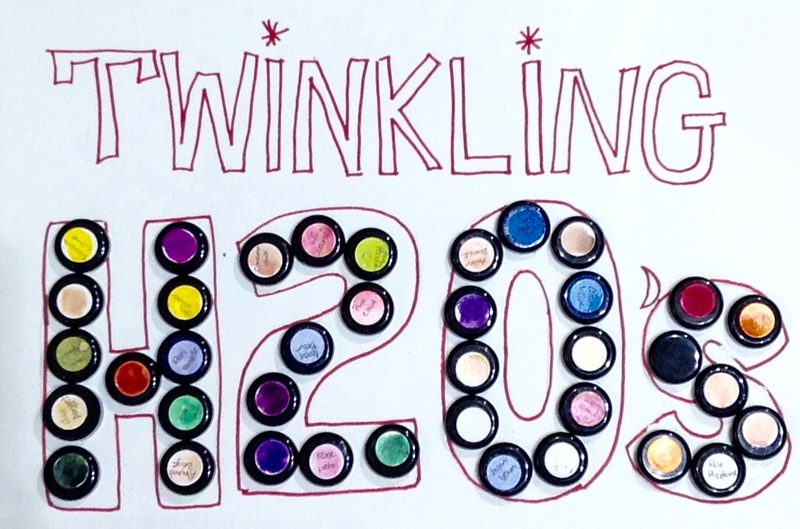 First, you need to know about Twinkling H20’s! I have fallen in love with them! 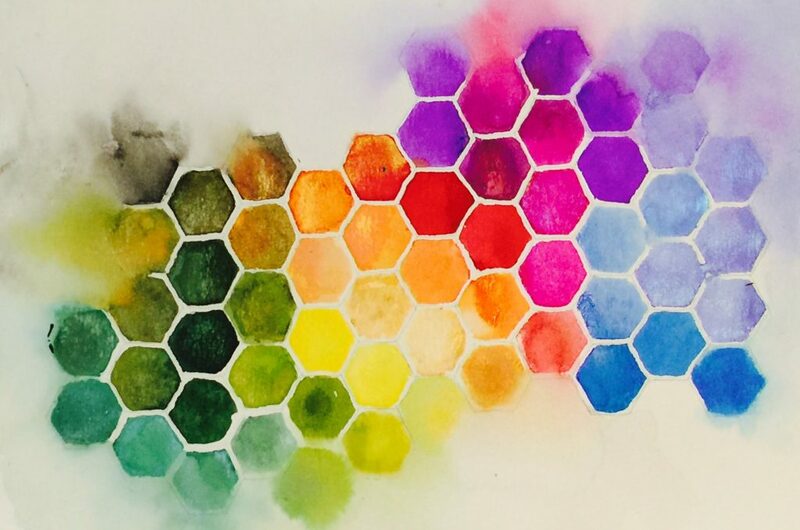 I initially heard about this line of watercolor through crafting resources online. Then I also heard about them through Dreama Tolle Perry’s website. 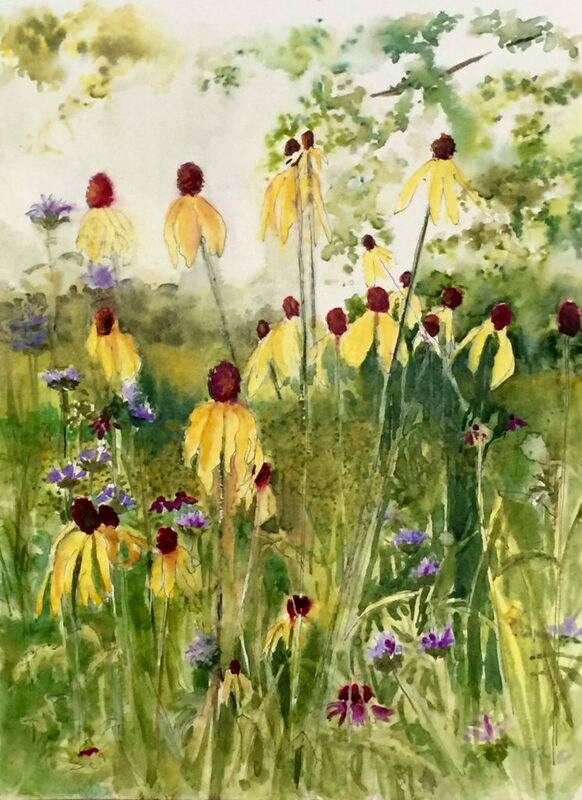 She is an oil painter, and I noticed that when she painted in watercolor, she used these paints. All the buzz made me curious, so I ordered some for myself. Twinkling H20’s (or “Twinks” as they are affectionately called) are manufactured by a company called Colour Arte. They are pure mica, without the normal dispersing agents and binders of watercolor. What this seems to mean in practical terms is that they will rehydrate and move again if hit with water. Even if they’ve been on the surface and dried completely, they can still be agitated and move. Some papers will accentuate this (Strathmore watercolor cards for example), but even on Arches, this can happen to some extent. My Moleskine watercolor journal accepted them beautifully, and I was able to create this painting on it’s pages using the Twinks. One thing I like about the nature of the “bling” they impart, is that its subtle. It won’t blind you if you look at it sideways, and yet its shimmery nature seems to enrich the color experience you are capable of enjoying. I really liked them! Their ability to be rehydrated after drying can make them a poor choice for areas that you want to have flat or dense washes (especially if you’re on a paper that promotes their tendency to float). However, they are beautiful in their color range, and it seems difficult to make muddy color with them. This may be due to their luminosity (they Twinkle! just like the name says), but whatever the reason, I like the result! Less mud is always a good thing. 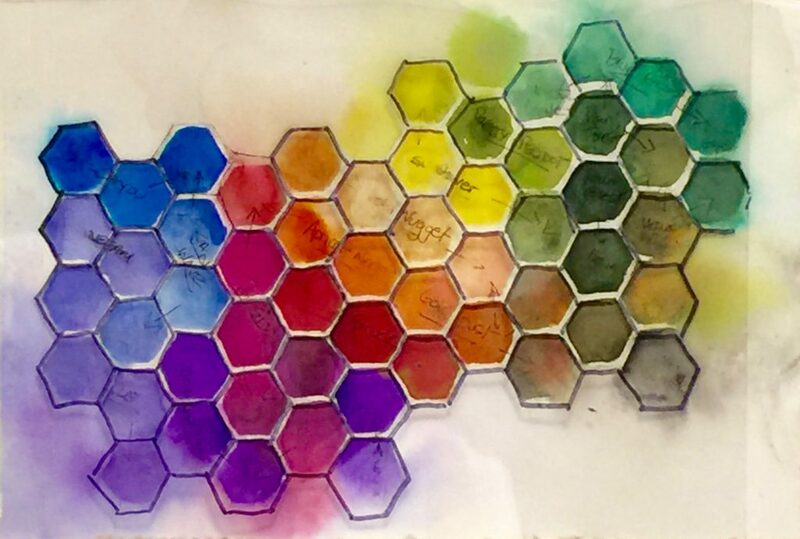 Here’s a color chart I made using some of the colors I purchased. Knowing me, I will probably order more since I had such fun with them. 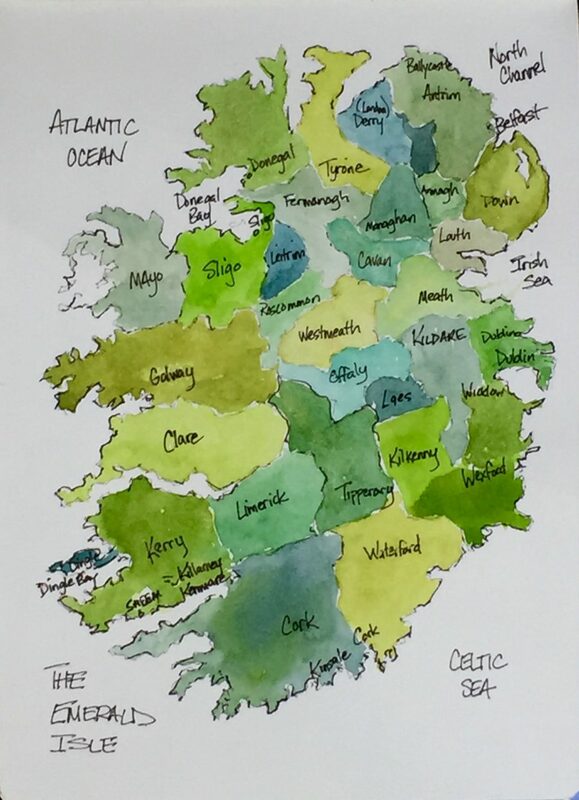 Here I was experimenting with interference and iridescent watercolors as I painted a map of Ireland. I loved the variety and quality of greens I was able to get with combining Twinkling H20’s and some Daniel Smith colors (more about them another time). What’s more, I really liked that they did not appear gaudy or overwhelmingly glittery. This is an issue. The packaging they come in is not very practical to use. Since the lids are black, you don’t know what color a paint is by looking at the top of the container. I had this great idea to label the lids for reference. (see the Sparkling H20 photo in this blog) After much hassle to label paint labels for them, I began to notice that the lids seized up after use. 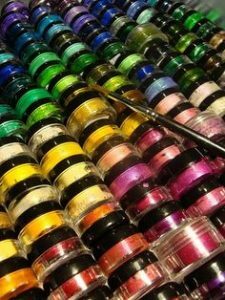 If you screw on the lids while they are moist, the paint will glue the lid on so tightly that it takes a wrench to open them!! After reading online about what people were doing, I saw that many stored the containers without their lids in a storage box. So, that’s what I do now… No lids, just the glass base and the open container. I keep all of them in a little storage box I bought at WalMart for about $7. A Tupperware or disposable Gladware container with a snap-on lid would also work. Plans: I like to glaze with them as a final finish to my regular watercolors. Even using them by themselves is a fun way to make your paintings sparkle. They feel playful, and the colors are beautiful. 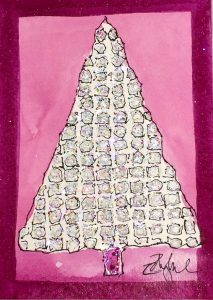 I loved them with pen and wash. I love them for journaling.